Great location. Many attractions were within walking distance or a very short drive. 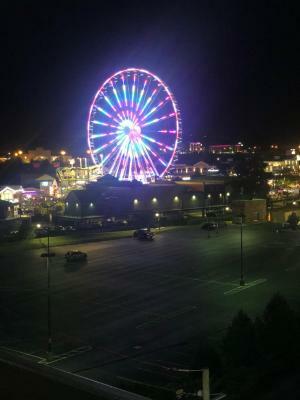 Nice view of the island and Ferris wheel. The price was great, but you get what you pay for. The room was clean! Bed was comfortable. Pillows were great! Water was hot! Tv was a big flat screen. Pool was warm. The continental breakfast was lacking. That is the only criticism for value for money. Location wise it was terrific! I could walk to Island. The location of the hotel was great! The view was what we were looking for. But the experience of the rooms and hotel was horrible. I liked the location. It is in the middle of everything. we did not try the breakfast but the location was great and the view was good. I did like that the sink was separate from the shower. 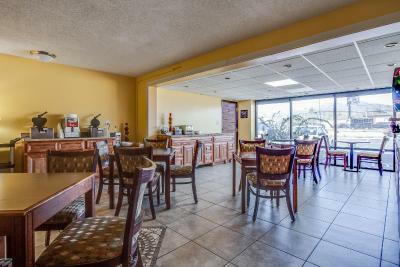 Mountain Vista Inn & Suites - Parkway This rating is a reflection of how the property compares to the industry standard when it comes to price, facilities and services available. It's based on a self-evaluation by the property. Use this rating to help choose your stay! One of our best sellers in Pigeon Forge! 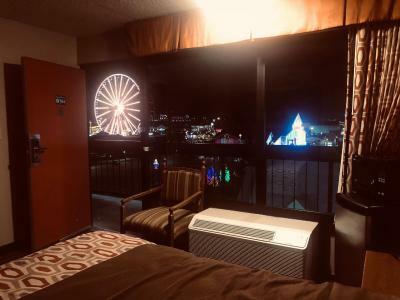 Located within 650 feet of the Dolly Parton Pirate Show and 1,300 feet from the island in Pigeon Forge, Mountain Vista Inn & Suites - Parkway offers rooms in Pigeon Forge. 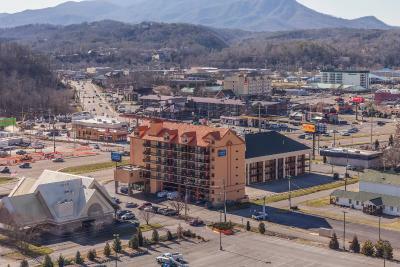 Located around 1.6 mi from Smoky Mountain Opry, the hotel offers free WiFi. The property is set 1.7 mi from Old Mill and 2.4 mi from Dolly Parton’s Stampede. The units in the hotel are equipped with a flat-screen TV. The rooms come with a private bathroom with a bath and free toiletries. The rooms will provide guests with a microwave. 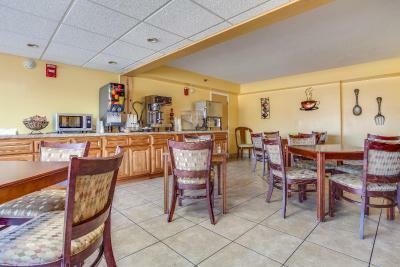 A continental breakfast is available every morning at Mountain Vista. The accommodations offers a sun terrace. Comedy Barn is located within 1,950 feet from Mountain Vista Inn & Suites - Parkway. The nearest airport is McGhee Tyson Airport, 35 mi from the property. 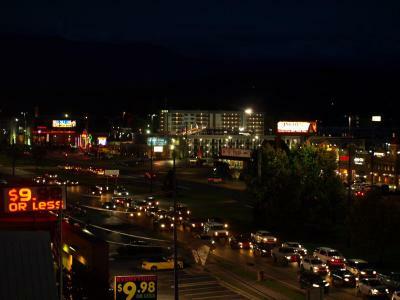 This is our guests' favorite part of Pigeon Forge, according to independent reviews. When would you like to stay at Mountain Vista Inn & Suites - Parkway? This room features a spa bath, microwave, and refrigerator. A cable TV is also included. This spacious suite features 2 separate bedrooms, and a microwave. Extras include a refrigerator and a cable television. 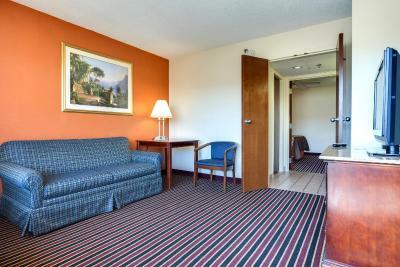 This suite features a microwave, refrigerator, and cable TV. The suite has one bathroom. This spacious apartment features 2 separate bedrooms, a microwave, and a refrigerator. A spa bath is also included. This apartment features a separate bedroom and a separate seating area with a sofa. Extras include a dining table, flat-screen TV, and spa bath. This suite features more space, a spa bath, and a sofa. Extras include a refrigerator, microwave, and flat-screen television. House Rules Mountain Vista Inn & Suites - Parkway takes special requests – add in the next step! Mountain Vista Inn &amp; Suites - Parkway accepts these cards and reserves the right to temporarily hold an amount prior to arrival. Mountain Vista Inn & Suites - Parkway accepts these cards and reserves the right to temporarily hold an amount prior to arrival. Room and beds were dirty. Room next door had as least one very loud child that kept screaming and banging on the door between the rooms. I spoke with the front desk and asked for another room to be told on wasn't available, but they would call them. I seriously doubt that because it continued far into the night. The elevator was really dirty and had a smell. The donuts wasn't fresh and the food area wasn't very clean. We had a 2 bedroom suite and one of the TVs did not work an told front desk several times but no one ever came to fix it. Location is great. The rooms are comfy and plenty of room. The outdoor/rooftop area was very relaxing. I didn't like the vomit that was dried up on the wall and floor by the bed. There was also vomit and another bodily fluid dried under the comforter on the bed. When I told the manager about it, he tried to make me pay more for another room. Didn't like that either. Eventually, he switched our room. All they had for breakfast was cereal and waffle maker. No coffee pot in room. Only one trash can per room. Breakfast was not until 8. Front desk doesn’t open until 8am. Not enough parking. Room was outdated vanity was deteriorating. The breakfast area was dirty and wasn’t actually what I would advertise as continental breakfast. All There was was fruit loops and a dirty waffle maker that left black on the bottom of your waffle. Would have been happier if there was fruit or bagels or doughnuts. Also there was only orange juice and coffee. Would have been good to have been able to get water or apple juice. This was one of the poorest breakfast I have seen during traveling. We was hoping to save money but ended up having to go out to get breakfast due to kids starving. I would suggest to clean up area (put trash bags in trash can) and add more variety or just not offer at all. Base boards needed cleaned drastically. The light was to dim to put makeup on . Hole in wall beside shower head. Elevator went out and my boyfriend is disabled. Made it hard to get to the 6th floor and nothing was done to help us. Very big room and comfortable bed. Uncomfortable beds , pool looked dingy, breakfast was awful. The floors actually turned my socks black! The hot tub wasn't clean there was hair and black stuff all in it,the towels had a funny smell we had to use our towels and I guess it,and WE heard the elevator all night we was in room 503 . The staff acted as if you were putting them out asking them about anything and got defensive if you were asking about problems with property. It was listed that breakfast is included with room, They informed me it was a continental breakfast that that's what was listed. I showed them my print out and showed it said nothing about being a continental breakfast. They got very defensive and told me they just coffee and donuts. Not my idea of breakfast. Ice machine didn't work. Phone didn't work. If I would have had anyone with me and they wanted to watch TV in front room or in bedroom we would have had to share the remote...1 remote for 2 TVs. Housekeeping would take your towels and washcloths and not leave any in return. Floor was dirty, feet were black after walking barefoot. JetTub was nasty, but worked...just had to clean it. Parking was another issue!!! I'm handicapped and only 1 parking spot, and parking was so scarce that most of time you had to park in lot around back of hotel across the alley. Let’s just start off by saying we will never be back there again! The hotel was disgusting! The beds were definitely nasty.... I had a huge stain on my quilt like it had not been washed. The sheets had hair on them. Plus the smell of the towels and the room itself was ridiculously nasty. We had a huge hole in the bathroom and a huge gap in the door of the exit for the room. I have never been somewhere were I was that uncomfortable or couldn’t wait to leave.... definitely not worth the money. It was way more expensive than what you get.